In this weekend's edition of Hot Clicks we discuss the return of Pita Taufatofua, plus we welcome SI Swim's rookie Olivia Culpo. 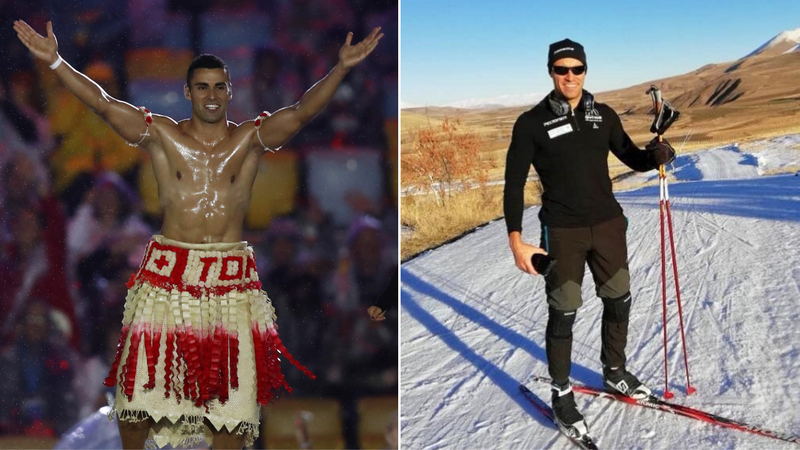 Remember Pita Taufatofua, the shirtless Tongan flag-bear from the Rio Olympics? In the last year, he somehow learned how to ski and qualified for the cross-country event at next month’s Winter Olympics. Aly Raisman and Jordyn Wieber both appeared in court on Friday during the fourth day of Larry Nassar’s sentencing hearing and delivered impassioned testimonies. And here are four key sports law implications of the Nassar scandal. Ranking the 52 best players remaining in the NFL playoffs, here’s everything you need to know about Tom Brady’s hand injury. Former Jaguars’ great Tony Boselli praises Blake Bortles and says they will not be intimidate by Pats. Even non-tennis fans can appreciate the unbelievable third-round match between Simona Halep and Lauren Davis. The government shutdown led to the cancellation of the Air Force basketball game ... FIVE hours before tipoff. Ollie on the hot seat? The craziest game endings in the NFL this season ... Terrell Owens torched Jason Garrett in a Twitter rant ... 8 college basketball coaches on the hot seat ... Heat forward and MMA fighter James Johnson evaluated the recent NBA fights ... A new species of wasp was named after Ichiro Suzuki ... HBO released the first trailer for the Joe Paterno movie. He’s 15 years old. 15! Here’s a random one for you: Saturday is the 31st birthday of Evan Peters, who is best known for roles in American Horror Story and X-Men. But to me he’ll always be Luke Cooper, whom you don’t don’t bother.